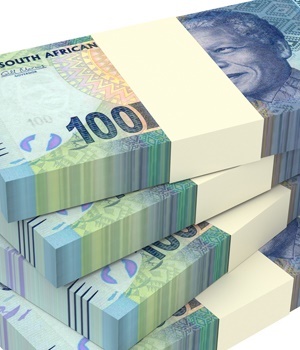 The SA Revenue Service's operating model came under the spotlight at the Nugent inquiry on Tuesday, with a senior official at the tax agency testifying that the organisation has regressed under the system. The commission of inquiry, appointed by President Cyril Ramaphosa, is probing the state of corporate governance and allegations of misconduct at the revenue collection agency. “Two years into the operating model, SARS has regressed and compliance continues to slide,” said Randall Carolissen, head of Revenue Planning, Analysis and Reporting at SARS. The model was designed with the assistance of global consultancy Bain and Company. Bain was hired in 2015 under the watch of suspended tax boss Tom Moyane to assist with the reorganisation of the revenue service's structure. SARS credit book, which reflects money owed to taxpayers, has jumped from R40bn in April 2013 to R55bn in 2016. In his presentation, Carolissen detailed the extent of the negative impact caused by the system, saying it gave enormous power to the business and individual tax unit, known as BAIT. BAIT was headed by Jonas Makwakwa, who resigned from SARS in March 2018. In 2016 he was suspended from SARS on money-laundering accusations, but was found not guilty in an internal disciplinary process. He controversially returned to SARS in October 2017 only to step down five months later. Carolissen raised concern over the move, saying such a change needed to be justified, especially when it concerned the running of an organisation as critical as SARS. He told the inquiry that Bain had presented SARS with four proposals, but he could not say who designed the final operating model as it drastically deviated from the proposals. “As professional consultants, Bain should have distanced itself or should at least have cautioned against the drastic departure from the proposed operating model options,” he said. He testified that the model violated important SARS principles and damaging the organisation. “The concentration of power in the business and individual tax unit in the final model is just puzzling to say the least." The model resulted in the 'regression' of SARS as an institution, he said, with a large number of skilled people quitting the organisation. Judge Nugent, who is chairing the commission, said Bain would be likely be called by the end of next week to present its side of the story.